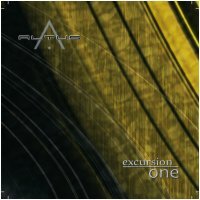 Introducing the first release of a new series from Altus to be distributed freely by Earth Mantra Netlabel. After treading through the dark overtones of "Only One Earth To Destroy", Altus takes you back to his usual melodic ambient style. Although the two-track release is quite active, it's still easy to allow yourself to close your eyes and drift to the sounds once you've settled into the track. Be sure to check out www.altusmusic.ca for more free music. This is an incredible release, one of my absolute favorites on EM, and one of the finest ambient releases! Both symphonic and atmospheric, full of beautiful details and hidden textures! Great work!